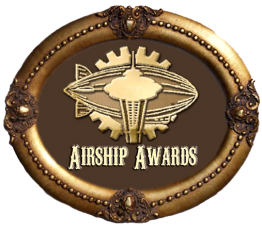 Note from Ay-leen: In recognition of Pride Month in the United States, I’d like to thank Lucretia Dearfour for writing about her experiences in the steampunk community. The first person that we know of to ever go through sexual reassignment surgery was Lili Elbe in 1930, unfortunately her body rejected much of the surgery and she died three month afterward. 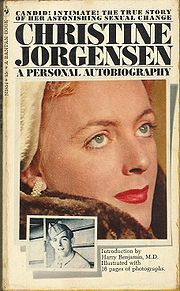 The first most prominant recipient however was Christine Jørgensen, who received the surgery in 1952 and was then immediately outed to the public as Trans… as “Different.” What is truly amazing to me about Jørgensen’s story is that the first paper to get the scoop and run with it was the New York Daily News on December 1st 1952, and the headline read “Ex-GI Becomes Blonde Beauty.” The headline could have called her a freak of nature, could have foscued on how a man decided one day to be a woman, could have called her a freak or warped the public’s mind in any way shape or form as the first paper to break such a story. What I respect about the article is that it chose to focus on the fact that Jørgensen became a “Blonde Beauty.” It’s vein, it’s vapid, and it still says “He was this, now he’s not a he anymore,” but it does so in such a way that conveys a positive message. 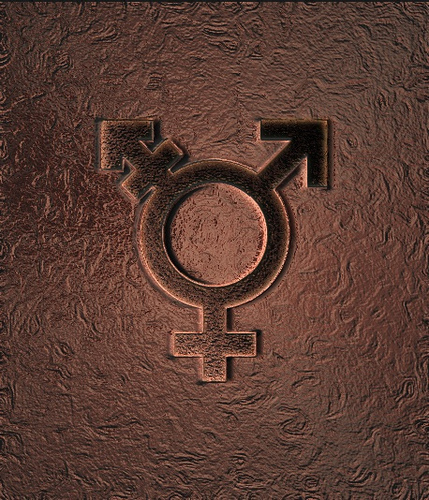 Transgender and gender nonconformist individuals exist to this day. We have existed throughout history and we have only gained strength and prominence as time has gone on with many thanks to trailblazers like Jørgensen. We’ve still got a long, LONG way to go but the future is definitely moving in a very accepting direction for me and mine. 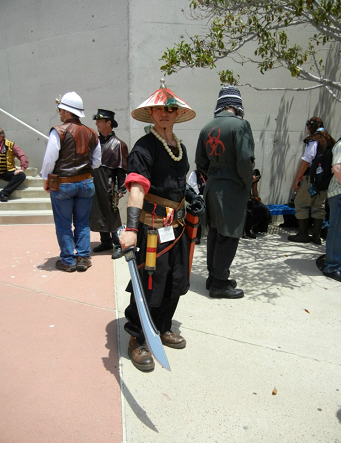 That being said, in Steampunk as well as in a lot of other geek-oriented subcultures I feel (subjectively) that Trans folks are on the whole accepted, though not understood and, at times, not encouraged. This is something that can change, and is en route to change yet at the moment we still deal with a lot of double standard BS that cis-gendered (labeled one gender at birth and has no intention of questioning said gender) folks never need to think about. It is day 15 of our arduous journey through the veldts of Nigeria (or are we in Cameroon yet?). 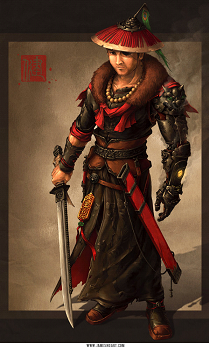 Our tracker Adeola has discovered new tracks and scraps of fibers from obviously foreign cloths. She can find a single iguana track amongst a bevy of crocodiles, this one can. We listen intently that these “men” are probably several hours, if not a day away. We find evidence of them through their encampments, their excrement and their litter. Yes, litter. Can you imagine- these foreigners, these soldiers, these baby snatching, people annihilating, genocidal rapists also throw their unwanted refuse upon our beautiful, sacred ground. Well if you can march hordes of innocent groups of human beings to ships waiting to whisk them away to be enslaved, massacred and destroyed in a whole different place on this globe, throwing down unwanted garbage must not mean much. I guess it truly lies in one’s perspective, does it not? And before I can answer, images of the next few centuries spring forth as vividly as the greens and browns presently ahead of me: slavery, men and boys hanging from trees, Emmett Til in his coffin, the Civil War, ghettos, heroin, crack, Rodney King, Ronald Regan, Flava Flav, the riots in Newark, Chicago and LA, apartheid and AIDS. Internally, the answer is clear. The rest of the women notice my hesitation and far-off look in my eyes and immediately they know where my mind has gone. They wait patiently as I gather my wits about me. It’s all so overwhelming at times. From one existence to another in mere minutes, then from that existence to here-it is all staggering to think I am recreating my past as my future remains uncertain now- the whole butterfly/chaos theory thing. Try to explain that to a group of Amazonian warriors attempting to rid their land of oppressors and see where it takes you. It took weeks and weeks to convince my group of fighting women I was actually a woman from their future who has returned to the past to go back in an attempt to right the wrongs done to one group of my ancestors by another. Perhaps the laser light pen (bought at a flea market to amuse my cats) and Nintendo DS (note to self: energizers do NOT time travel well) helped to tip the scale of doubt to my side a bit. It took several days for me to even convince them that a person bearing my skin tone could have even come from their same mothers. My complexion, hair texture, shape of my lips and nose were all odd but strangely reminiscent of theirs–albeit, a highly watered down version; or as sister Iruwya said, a highly “whitened” down version of them all. She has a biting wit about her- she is not ever afraid to speak her mind, heart and especially her soul. Once she was convinced of the atrocities to come, she, the non-believer became my staunchest advocate and friend. At night, I think back to the times this whole adventure began. I bounded in the matter of what seemed to be minutes from 21st century woman, to 19th century “lady” and then to here and now, the Africa of my not-so ancient past. But, now I stand, clothed in a strange compilation of Victorian European garb mixed with the bits and pieces of textiles I have found on the dead and dying of White men and African brothers alike-the strangest mosaic of African-American-European aesthetics this time period has probably ever seen; my hair in tight ringlets surround my face, mane-like; no matter what–I am home. But now is not night and there is no time to reminisce. It is dusk and the heat, still shimmering in waves from the ground below, attacks us. The cross bow (yes, with laser light pen attachment-sold separately) strung across my back grows heavier with each step that I take. Not even the adrenaline brought about by the sight of the fires ahead, the smell of the cooking meat and the unquestionable shouts and laughter of the White men ahead can alleviate the ache in my mid-back. I look around me and see the familiar smiles of my new sisters: once warrior women of their king in Dahomey, they fight alongside of me now to try and thwart the death of our culture, our names, heritage, land and lives. “Come” says Tayari in Yoruba (a language I never knew while living in New York in 2011, but one I can easily understand and speak now). The rest of us nod. Our evening activities have just begun. The above excerpt taken from “The Strange and Accurate Depiction of the Life and Times of Luisa Fuentes as Miss Dorothy Winterman, Lady of Leisure and Haberdasheress Extraordinaire In Her Journeys Through Time and Oppression: A Memoir”. Okay, so the above memoir does not exist in either fiction or reality. 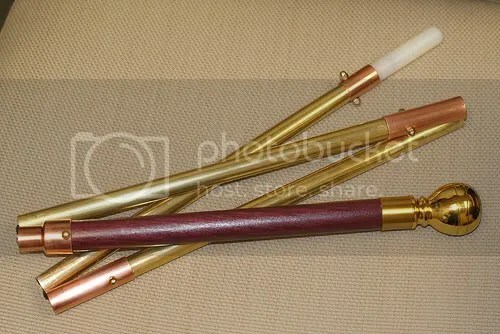 It is a part of an explanation of the newest and most original Steampunk outfit that debuted at the Steampunk World’s Fair in New Jersey the weekend of May 20th, 2011. My name, however, really is Luisa Ana Fuentes and I really am of numerous mixed heritages. I’m a steampunk and my character’s name is (you guessed it) Dorothy Winterman, Lady of Leisure and Haberdasheress Extraordinaire. Note from Ay-leen: This essay is cross-posted from Eccentric Yoruba’s Dreamwidth journal and describes the story of the international slave trade from a unique vantage point: where historical hardship becomes a tourist commodity at the Cape Coast Castle in Ghana. Our next guided tour was to the Kakum National Park and Cape Coast, which is home to several colonial castles. Once more we woke up really early in the morning and got into a bus with other Nigerians and off we went on our two hour journey to Kakum. The national park is famous for its canopy walk, which has several hanging walkways above a thick forest. Apparently, some people find the canopy walk challenging and cannot go through it, that is totally understandable. It took a while walking through the forest until we reached the walkways. One by one, we were guided to them, but not before we were warned not to swing the walkways and to refrain from such behaviour. There are seven canopies in total. I took the shortcut, which means I walked through only three. “Are you scared?” one of the men– presumably a safety guide–asked me when I turned left for the shortcut. “Yes, I am absolutely frightened,” I replied even though I had a huge grin plastered on my face and had paused to take a picture a few moments ago. As I walked hastily through the shortcut, I heard the man say behind me, “You’re lying.” In front of me a little girl was crying while her mother told her not to be scared: “We’ll soon reach the end.” I felt sorry for her. Part of the reason I had chosen the shortcut was because I wanted to see Cape Coast. To be honest, I was dreading it at the same time because I’d heard stories; of the slave dungeons and the Door of No Return, of people breaking into tears while there, and I wasn’t ready to be caught unawares by several strong emotions and end up crying in public.